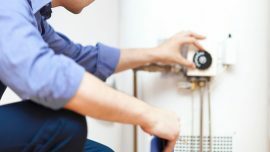 Your boiler is one of the most important appliances in your property, when did you last have it serviced? And not only your boiler, what about other gas appliances? To protect you and your family you should get your appliances – in particular a boiler and hob – serviced every year. Left unchecked a fault can lead to a dangerous leak, carbon monoxide poisoning, an explosion, as well as wasting unnecessary money on gas. Plus a new boiler will cost you thousands of pounds. Did you know that rented properties have to get an annual gas safe certificate by law? That’s right – shouldn’t you do what’s best for your home as well. In the last three years, the Gas Safe Register reports that the one in six British homes inspected by the Register has been found to have an unsafe gas appliance, which, if left unchecked, could have resulted in a gas fire, leak, explosion or CO poisoning. Also during this time, over 1000 injuries and 31 deaths have occurred due to gas related incidents. 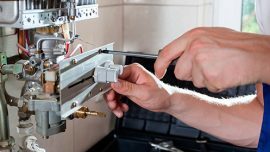 Okay, you may be lucky, no-one is hurt when your boiler breaks down, you only need new parts – but you did not get an annual service the last couple of years because you have a warranty for parts and labour…. Peace of mind? Check the small print, chances are if you have not had an annual service the warranty will be invalid. The message is simple and one of common sense. 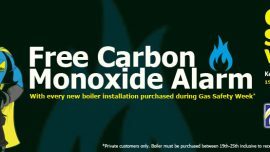 At Associated Response we specialise in gas appliances – from installation to maintenance and 24/7 emergency repairs. We are Gas Safe registered. Check us out. Get your appliances checked, get the best out of them and peace of mind for you for £60. And then every year we will remind you of the same. How does that sound? Call us now on 020 8366 6420 or emailarlco@yahoo.co.uk.